Today we received our new frying pans ordered from Netherton Foundry in Shropshire. These are the sort of pans that Lucan’s children will be using, so while they are about £45 each they are a real investment (so long as you look after them that is). 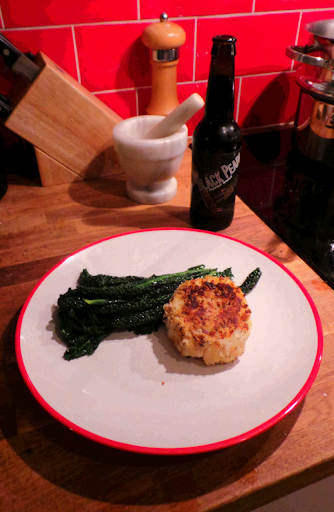 I was excited to give them a whirl so decided that fish cakes would be a fitting christening. Emily preserved a number of lemons about 2 years ago in salt water and herbs liqueur. This stock might help us get some much needed zest into certain foods as our year progresses. This recipe is really simple. Peel and boil your potatoes before mashing. Leave your mash to cool. De-bone your fish and shred it into small pieces. Once your mash is cool add the fish, garlic and egg (coriander if you have it). Chop your preserved lemon into small pieces (or zest your lemon). Add the lemon, butter and season with salt (and pepper if you have it – we didn’t). Shape your mix into patties. Now take your end of loaf (or stale bread) and make it into a decent sized bowl of crumbs. Coat your fish cakes into this crumb mix. 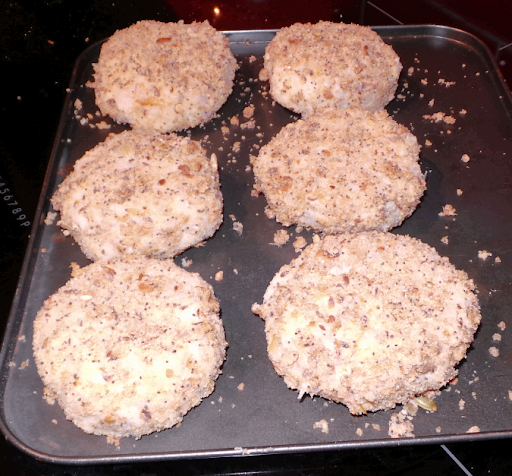 I made 7 decent sized fish cakes out of my mix. This is obviously too much for our little family so I have put 4 of the cakes in the freezer for another day. Take a large frying pan and glug in a liberal amount of rapeseed oil. Fry the patties for 4-5 minutes each side or until they are nice and crispy. I steamed some cavolo nero with some salt and rapeseed oil and served just like that! Emily and I wash tonight’s dinner down with some cold bottles of Gadds’ Black Pearl Oyster Stout. Yummy! Have you thought if compiling a cook book as a side line? Also any luck with getting a coke equivalent? Cook book would be great to do but I am not sure if we have time for anything else at them moment. As for the Coke thing – I must admit that I am not all that bothered. I know that alternatives exist but I don’t drink the stuff often enough. Sparkling Elderflower or Elderflower cordial and sparkling spring water, beats all the commercial rubbish. Iced on a hot sommer day whatever they are! 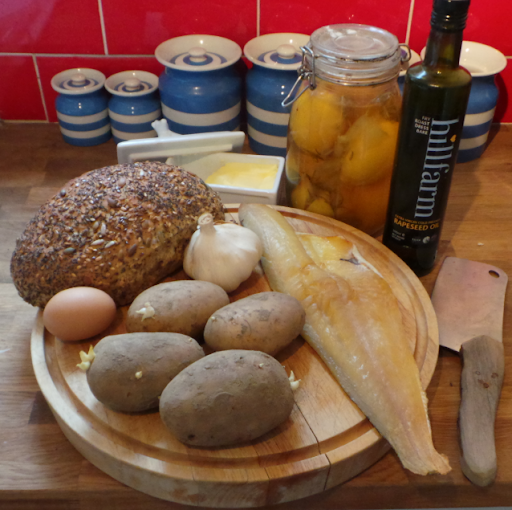 The fishcakes sound scrummy, I will post a link on our blog and website. I love your comment about these being heritage pans – that’s EXACTLY what we stand for; great products,sustainable materials, traditional skills combined with modern technology and built to last. The new Industrial Revolution leading the way to a Commercial Revolution. This is such an interesting experiment you are doing. Well done!